Congratulations! 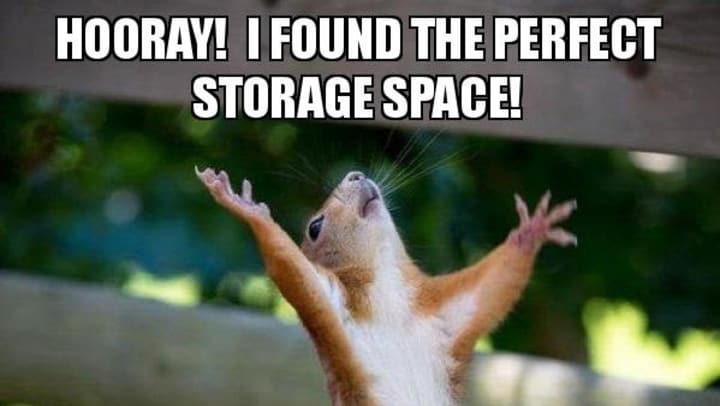 You have selected the storage facility that is perfect for you! Now is the time to pick your exact storage unit and, again, LOCATION is key! The location of your specific storage space within the facility is just as important as the location of the storage business itself. Storage facilities come in all shapes and sizes so you need to find the correct sized space AND the correct location of that storage unit. Some storage facilities are newer and more uniform in design. Other facilities are in older buildings that have been rehabbed for storage. But, all have quirks and features that make them unique and determine where on the grounds storage units are located. Take a minute to consider the layout of the grounds and buildings. The manager’s office often has a map of the facility showing layout and location of storage units. This is great for an overview of the business. Some storage facilities offer drive-up units. While these are often the most convenient, you still need to consider its location. Are the drive lanes large enough to accommodate the vehicles you will use when coming to storage? Does the location of the storage unit mean you will have to turn your vehicle around or back up for long distances? Is access to the storage unit blocked by a curb, hydrant, bollards, or even vehicle parking? Other storage companies may offer indoor storage spaces. Indoor units are often cooler than outside ones but may include more irregular shapes and sizes and more limitations of access. Will you need to use an elevator? Make sure you can navigate the hallway corridors with the items you will be putting in and taking out of storage, especially on upper floors. 1. Be clear and let your manager know exactly what your needs are, including the items to be stored. This way your manager can winnow down the number of choices that would work for you based on location within the facility. 2. Ask to see the exact units you are considering. Don’t simply pick a storage unit based on dimensions or total square footage alone. Viewing the approach and access point will quickly show you whether a space will or will not work for you. 3. You should also locate the storage unit by driving/moving through the facility as you would when regularly accessing your stored items. For example, while looking at an indoor storage space, you find the aisles to be suitable for your needs, however, the drive to that building may be too narrow or twisty to accommodate your vehicle. 4. Also, be comfortable with your selection. If you plan to be onsite at night a storage unit should have ample light to make use easy. If you are often onsite alone perhaps a space close to the office would make you more comfortable when visiting the facility. One last tip: because storage units in unusual locations can be difficult to rent they sometimes come at a discount. Be sure to ask your managers they know the facility best and will help you make the best choice for your storage needs and your wallet.